I have not had much time to download or listen to any new releases due to the 25 page paper and two twelve page papers that are due by next Thursday. I suppose I deserve such turture in my last semester of college ever. Anyways, I thought I'd upload what I've been listening to lately. For whatever reason, every year I seem to go a solid 9 or 10 months without listening to Sufjan, but as soon as the snow hits the ground, I find myself listening ot him. 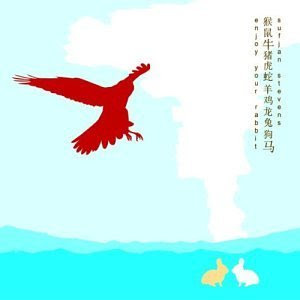 Enjoy Your Rabbit is a criminally underatted and underlistened album that doesn't quite fit in with his other releases. Nearly everything the man has created has been pretty solid, although I don't give him much play, but this is the one release that keeps my interest throughout. Contains instrumentals similar to those heard on Illinois, but with additional experimental glitched electronic rhythms added. Good music to accompany the cold weather.